As promised here is the latest news on my December promotions. 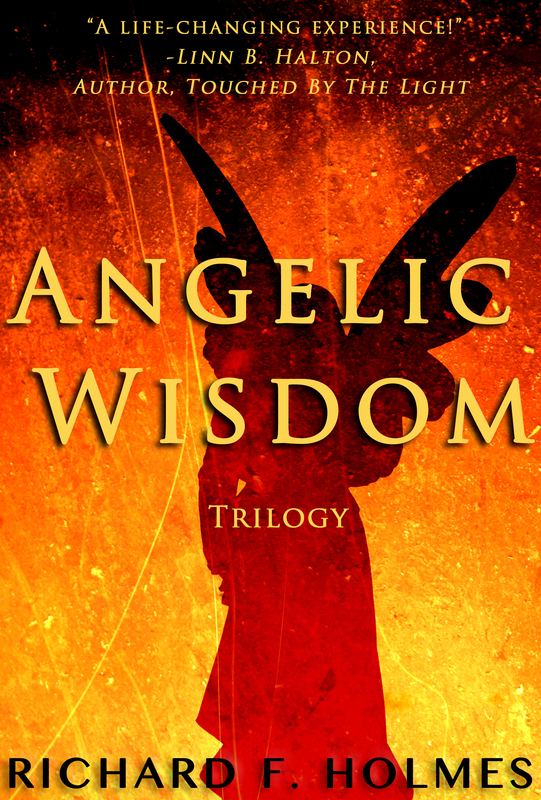 The latest free eBook I want to offer you is Angelic Wisdom Trilogy from 6 to 10 December. Like Musings Of A Medium this is my old work and is not representative of who I am or how I write today. However, I keep this piece of work alive because I have had so much positive feedback about it over the years. It started life as three individual volumes, before the days of digital publishing, and was originally produced on a “when it’s gone it’s gone” basis. Angelic Wisdom Volume One was actually my first ever book; written in 2002 and published in 2003. Simply click on the relevant link below to get Angelic Wisdom Trilogy FREE. Check out the link below and view my book trailer video for my latest work Wisdom Bytes; it took me minutes to make. I would like to share with you three more amusing littles stories from the Sai Humour series of articles. In the interview room once Sai Baba asked a devotee ”how do you spell wife”? Before the man could answer Baba said ”W.I.F.E, Worry Invited For Ever”. Then seeing the look of disappointment on the face of the man’s wife he corrected himself and very sweetly said ”Wisdom Invited For Ever”. A young man with long hair was amongst a number of devotees who had been called for a group interview one day. After teasing the man for looking like a woman Baba told him to get a haircut. The man said ”will you cut the first lock Swami”. Shaking his head in mock horror Baba said ”I am Baba not barber”! The American Dr John Hislop was blessed with having spent a lot of time with Swami before he left this Earth in 1996. One day Hislop was invited along with Baba and other devotees to the house of a very well meaning devotee for lunch. On seeing that there was not going to be enough food to go round Baba said to Hislop ”go to the car and bring the food”. Hislop, knowing that there was no food in the car went anyway, expecting Baba to have performed one of his miracles. But even he did not expect the sight that greeted him. He was astounded to see two angels, complete with wings, standing by the car holding trays of food. He took the trays and went back in the house with his mouth wide open in amazement. On seeing the look on his face Baba said ”shut your mouth Hislop, they are always there, it’s just that you do not see them”! In the last few days certain events have prompted me to muse on an experience I had when I had not long found my spiritual pathway. Since the 1980’s when spirituality first peered over the horizon I’d been stumbling around in blind alleys and dark corridors getting absolutely no where. 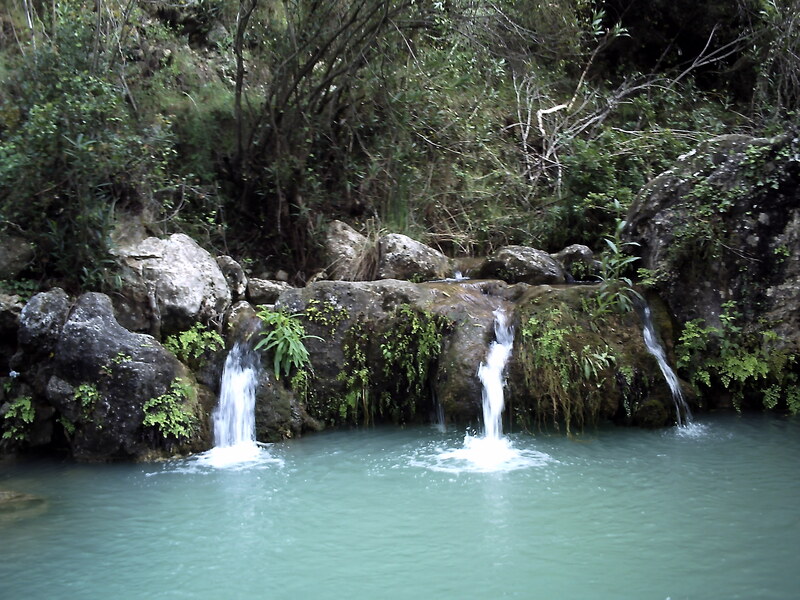 Finally in 2001 I found my right pathway with a surge of awakening. However, my enthusiasm far outstripped my knowledge and discipline and I stumbled a few times along the way. One incident from this period sticks in my mind because it remains very relevant in today’s life. I suppose I should rewind just a touch in order to paint a clearer picture. Without going into too many details I had a reading with a medium in 1987 that completely blew me away. The reasons for this I suppose were several, but the fact that it was my first venture into ”the paranormal” had a lot to do with the effect it had on me. I went to see an elderly man called Tom Dowding in Wood Green, North London and the first thing he did was give me a picture he’d drawn of a spirit guide; simultaneously greeting me with ”I’ve been waiting for you”. The introduction alone was enough to blow me away. Anyway, the picture was of a Native American who Tom said was my guide. I was so amazed that I went to see him again a few weeks later when he told me about another guide I had; an Egyptian. At that time I did not understand that spirit (even the individualised soul), in truth, is without name and form, and I, like many others after me, believed that the spirit world was full of souls running around dressed as Red Indians, Egyptians, Monks and Nuns etc etc etc. I didn’t realise that the guides only take on these forms to satisfy human logic; i.e. we have a habit of wanting everything in its own box with its own label; everything has to have a name and every ”i” has to be dotted and every ”t” has to be crossed. Such is the way of human logic. As the years went by I knew the guides were there but I didn’t have any communication with them, apart from the occasional signs and signals they gave me to let me know they were around. It was only when I started to open up to my own spirituality that I began to experience them more closely. I could see them on the inner plains and they would communicate with me telepathically when I was in meditation. I awoke so quickly that for a few months it was like being on a roller coaster, and I didn’t realise it at the time, but I was quite indisciplined. When I actually started to sit in a spiritual development group in 2001 my clairvoyance exploded like a Roman Candle, and I was absolutely over the moon to be able to see and hear my guides, especially ”The Chief”. It was such a novelty that we would have banter, which I thought was very clever indeed. I was quite disappointed one evening when my mentor informed me that it was time for my Native American guide to step back and allow a beautiful celestial being of greater awareness to take me under his wing. Of course I welcomed my new friend with open arms, but me and The Chief had developed such a bond of love that I couldn’t let him go. Within a few weeks my mentor informed me in a way that was very clear and concise that if I did not wish to move on along my pathway, then that was fine; God would not love me any more or any less and I had the freedom of choice. But if I was serious about my spiritual development then I needed to let The Chief go and give my new friend ”sole rights” to my development. I accepted this and allowed my Native American friend to step back in the knowledge that he would always be somewhere around but it was no longer in line with my soul purpose for us to have such a close relationship. My new friend was amazing; so much so that I carried straight on with him where I left off with The Chief. There was some banter and we became very, very close very quickly. But one day in meditation my friend decided that I needed to be shown a way that was more in line with my soul purpose. All of a sudden one of my arms, I think it was my right arm, became quite painful. It was such a strange sensation that there are no words to describe it aptly. It was like I was holding a weight that was far too heavy to be held, but at the same time I was not able to put it down. When it started it was almost like having pins and needles in my forearm. I thought my friend was just having a bit of fun with me but the sensation got more and more intense and seemed to go on for ages. It became quite painful and I wondered what was happening. When the pain eased off my friend spoke to me saying ”we shouldn’t let our love become a burden”. I realised then that he had given me this experience in order to simulate being weighed down; and I knew exactly what he meant. From that day on there was no more undisciplined banter and my deep, deep love for this amazing soul, and his for me, was expressed and felt in the silence of the heart. I realised too that just because a soul works as a spirit guide it doesn’t mean they are highly evolved. In the case of The Chief, he was a soul who was pretty much at the same level of evolution as me; it’s just that he was discarnate, and therefore had a clearer view of the bigger picture than me. My growth was his growth; so what he did to help me also helped him along his pathway and the image of a wise Native American was simply to give me, in my ignorance, something on which to focus. I still love The Chief dearly, and I know that he loves me, only these days we don’t allow our love to be a burden and hold us back. Now to the whole purpose of this post. When we are encased in flesh it is difficult for us to identify with anything other than the body and the senses and mind that go hand in hand with it. We forget our true nature and allow our emotions to make our decisions for us. We become emotionally attached to the extent that our vision becomes clouded and we cannot see the wood for the trees. Sai Baba always used to say that we are all just passing clounds on this dreamland stage and should not base relationships on the physical form because it is only temporary. Because of emotional attachment we become oblivious to the fact that the love we have for the special people in our lives goes much, much deeper than the physical. We wrongly believe that we are apart when miles are put between us and we also wrongly believe that we get separated by so-called death. The whole human race is interconnected by love, but also there are those special souls whom we have known and loved forever who will remain embedded within the very depths of our being for eternity. To you I say this ”we shouldn’t let our love become a burden”. Can You Ever Be Victorious Without Winning? In the aftermath of the riots here in the UK, and in view of all the drug, knife and gun crime that has swept the nation in recent years (which incidentally the media seem to delight in sensationalising) I thought it would be appropriate to write about something positive; because lets face it, the true nature of the human race is that of love and harmony; not violence. I was therefore prompted to recall an incident that occurred back in the Summer of 2002 during the latter stages of the football World Cup, which was hosted by South Korea and Japan. Anyone who is familiar with this tournament will be aware of the rather pointless match, that takes place prior to the final between the two losing semi-finalists, to see who finishes in third and fourth place respectively. I say pointless for a couple of reasons. Firstly, anyone who plays a competitive sport generally does so in order to win. So for a professional football team to lose a final would be considered by most to be a failure; after all, no one remembers the losers? With this in mind then, what professional footballer would want to finish third or fourth? Because of this, over the years, countries have been inclined to use the third and fourth place play-off as a platform to give younger and squad players a kick-about. Also because of the rules it is actually possible for a team to be considered the third best in the world without actually winning a match in normal playing time during the whole tournament. For example, a team could qualify for the knock-out stages by drawing all three matches during the group stage and then draw their games in the knock-out stages but go through to the semi-finals by winning penalty shoot-outs. They could then lose in the semi-final, draw the third and fourth place play-off, but win the match via a penalty shoot-out and thus be considered to be the third best International team in the world. As I said….pointless! But back in 2002 I remember visiting my mother one Saturday afternoon whilst the World Cup play-off for third and fourth place was being shown live on TV. South Korea were playing Turkey and the final score was 3-2 but I can’t remember who actually won (the word ”pointless” springs to mind)! The crowd was made up largely of South Koreans who were absolutely delighted that their small country had made such an impact on the tournament, but there were also lots of other nationalities too. At the final whistle something quite incredible happened that I’d never seen at the end of a football match before; I haven’t seen a repeat since either. Both sets of players intermingled and joined hands in a long line and ran towards one section of the crowd. That simple gesture of togetherness seemed to have a real impact on everyone in the stadium. There was a surge of cheering and happiness, and in that moment as I watched from across the miles, my heart was touched and I had a tear in my eye as I felt the tangible feelings of harmony that existed between players and spectators alike throughout the stadium. It was a truly amazing moment that will remain with me forever. It may have been a pointless game that no team could truly win, but it spawned a great victory for the human race.